Second post for Drugstore Week! Nothing really ever beats the high of finding a good beauty product at the drugstore, agree? ^_^ Today I will be featuring a recent release from one of the hottest affordable brands in the country. I have to say this, before anything else: 3D glitter nails are extremely impractical. They don't last long, and the glitter gets everywhere if you don't clean it up properly. But boy are they ridiculously fun to wear! I enjoyed gazing at my emerald nails at random times during the day. As shallow as it sounds, I felt cheered up by the bright color and the glimmer as the sun hits it juuuuust right. 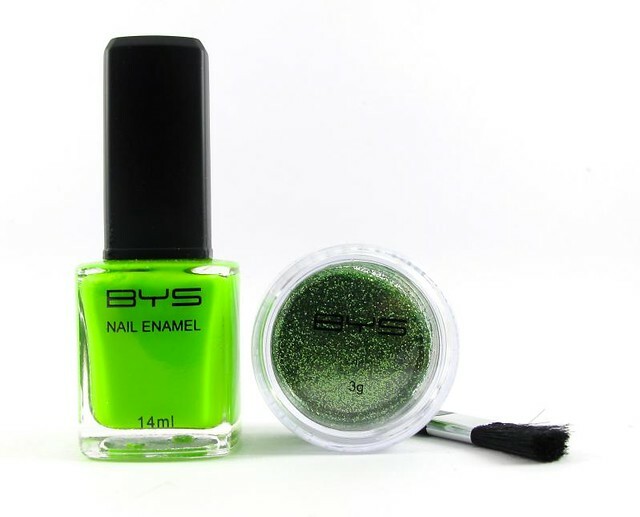 The BYS Glitter Dust in Luck of the Leprechaun (P499) is a kit that includes a nail polish, brush, and a pot of fine glitter. It's quite easy and quick to use, surprisingly. I was able to do my nails in 15 minutes since I didn't have to focus so hard on perfecting the base. A single layer will do, in fact. Here's the step-by-step! The process is straightforward, as you can see. 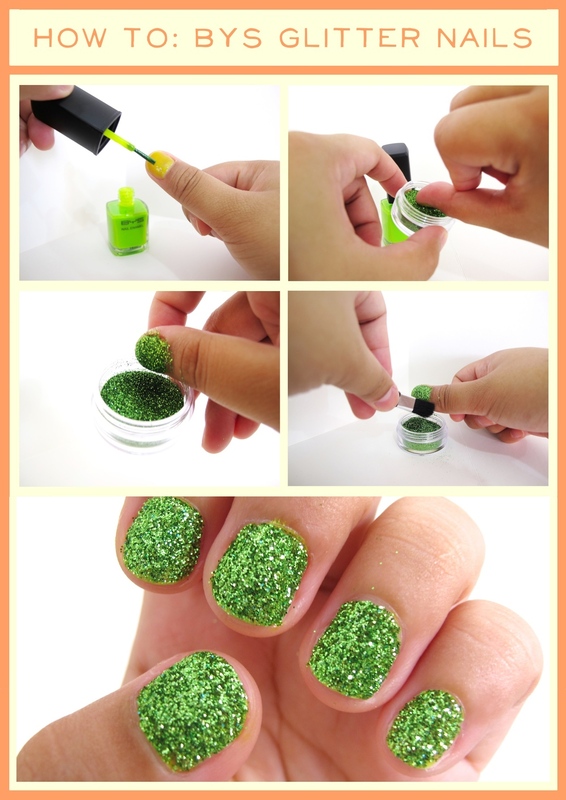 Paint your nails with the base, carefully avoiding the skin. It doesn't matter if the color is patchy just as long as the polish doesn't go beyond your nails. 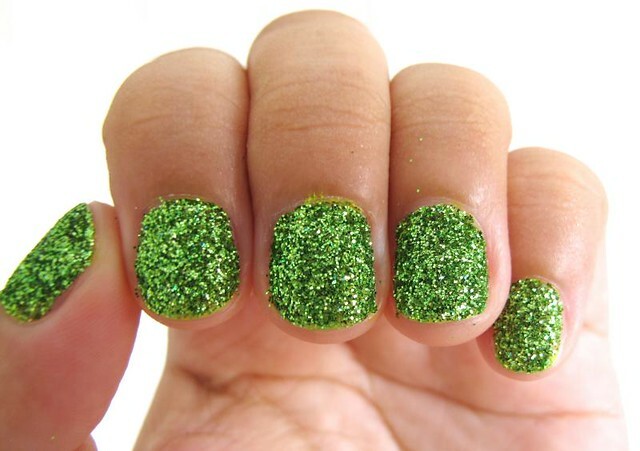 Then, dip the nail in the glitter pot. 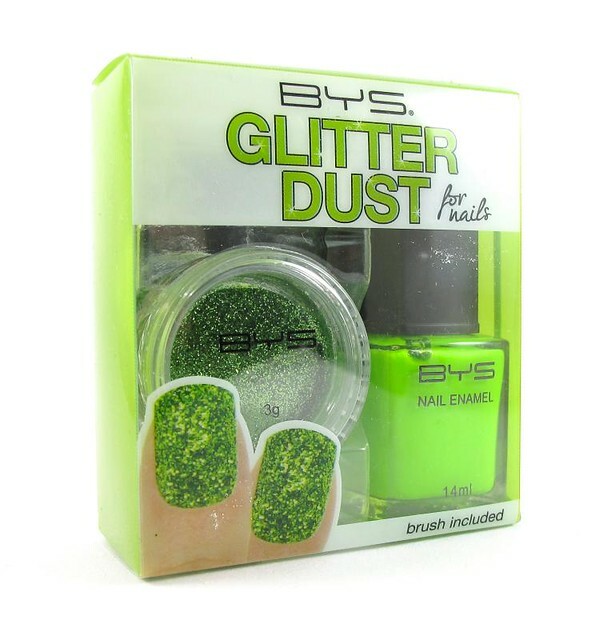 Don't by shy - get as many glitter as you can on your nails! 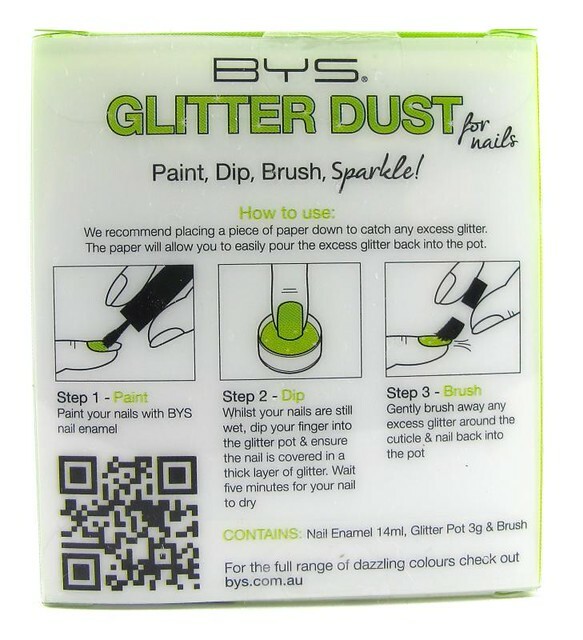 Once that's done, dust off ALL the excess glitter with the small brush in the kit. It's easier if your hand and fingers are completely dry before you start. It can be argued that you can just use any ol' nail polish and glitter you can find. Craft glitter is cheap, after all! 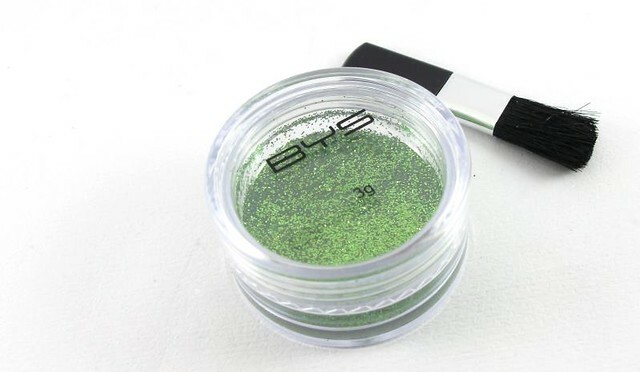 But the BYS glitter is for cosmetic purposes, which means that it's finer, non-irritating on skin, and doesn't stick on everything as stubbornly as craft glitter. It also stays packed in due to the smaller flecks. As I mentioned above, these glitter nails faded easily. It wasn't over two hours before it started looking beat up at the tips. I washed the dishes and put on tight clothes so yeah, the glitters weren't fated to stay with me. I recommend you wear them only if you're out to say, a party or any event where you want to have standout nails. 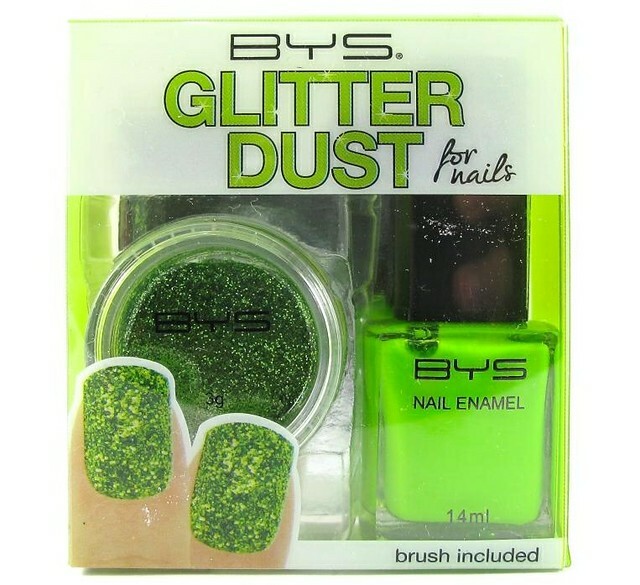 I don't reckon that the BYS Glitter Dust is for everyone but yes, if this is your thing then go enjoy it. ^_^ Check out classier colors like the black and white - they are so elegant. It's a fun way to dress up your nails! Accidental discovery: how to dry brushes in minutes!